Mountain Colors Hand Painted Yarns: Our 20th Anniversary Giveaway! We are pleased to present a 20th Anniversary Giveaway Celebration! For the entire month of July we are giving away fabulous prize packages including our custom 20th Anniversary colorway, Loganberry, with our Yellowstone River Scarf, one of our great new Montana "Just One Ounce" kits. Every Friday we will announce a new winner, culminating in our Grand Prize Giveaway of a gorgeous shawl kit by Heartstrings Fiber Arts called Loganberry, featuring a brand new luxurious Mountain Colors yarn, Mountain Colors Louisa! The best part is that you have up to four ways to win! You can play on any of our social media channels: Ravelry, Facebook, Twitter and right here on our blog. That's right, the more places you play, the more entries you'll get toward winning our grand prize! Do as many or as few as you’d like. We’ll announce the winners of the prizes on a rolling basis EVERY FRIDAY beginning on July 6. The more you play, the more chances you get to win the Grand Prize on July 31! Our Blog: Reply to this blog post and tell us what you love about Mountain Colors. Ravelry: Join our group, then post in this thread and tell us what you love about Mountain Colors. Facebook: Just Like our Facebook Page. Twitter: Just become a follower of our Twitter feed! Thanks for playing and helping us to celebrate our 20th Anniversary in business! You could win our gorgeous, limited edition 20th anniversary colorway, Loganberry! The amazing range and depth of colors brings we back to Mountain Colors whenever i'm looking for something special. Your colors and bases never fail to make me say "Wow!" I love how bright and well co-crdinated the Mountain Colors colourways are! I can't think of a colorway that I wouldn't want to work with. Just beautiful colors and transitions. Love the colors. My favorite is Meadow. I have a skein waiting for the perfect pattern to come along. It's all about the colors -- SO intense and making a choice is nearly impossible! But then one does choose and I've never, ever been disappointed. It's always hard to make a choice when looking at the yarns for a specific project...but when I finally do, I am never disappointed. The colors are just SO intense and wonderful! Sorry - I was having trouble with the non-robot proving section! The depth of colors are amazing. The softness of the yarn also is awesome to me! I love Mountain Colors Yarn for the colors! 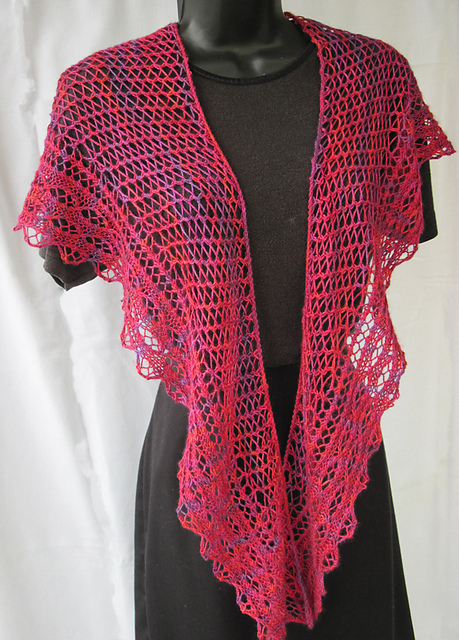 Everything I have ever knit with MC yarns has gotten lots of compliments. I love the colors, especially the fun names! I feel good about giving projects as gifts because I have a great story about the yarn! I love all the textures. The Mountain Colors colorways have given me such an appreciation for color combinations that I would have otherwise never have tried. They are a feast for the eyes!! Having lived in the Bitterroot the last part of the '90's I loved the business model and how they started. My favorite memory was coming to you showroom about 4 years ago right after a dear friend had died. Your staff was so amazing and I loved being surrounded by all of the colors. I made a pair of socks out of Twizzle (my favorite of your yarns) with my purchases from that trip. I love your fabulous colors!!! I love the vibrant colors of your yarn. The colors make me smile when I crochet with them...They are just gorgeous! It's simple. I love the colors. I think of the beautiful colors, of course! The combination of vibrant colors and softness makes me go weak at the knees! What's not to love? ;) you definitely do an amazing job of combining bright, bold colors that don't result in a garish project. I love the brightness of the colorways...would love to try some of this yarn. I love the vibrant colors, and this new one, Loganberry! The intense colors are amazing, i can see the flowers in the colors and all the wonderful painted hills. The depth of the color is amazing and that is what i love in a yarn. thanks for making such a beautiful yarn. Mountain Colors was the first hand dyed yarn I fell in love with as a new knitter. I've always loved the colors - your combinations are gorgeous. My first socks were in Weaver's Wool Quarters - it remains my favorite sock yarn. Happy Anniversary! All beautiful colors, the rosy red is gorgeous. Mountain Colors are truly representing the colors we like best in our visits to the great Rockies. There is no way for my camera to pick up all the colors and blends but your yarns are capturing them so clearly. I love the range of the different types of yarn and then the saturation of the colors of the skeins that makes for beautiful garments and or other projects. I love the richness of your colors. Ruby River is my favorite of all time. i know everyone is saying it, but the colors!! and the way they blend together!! Incredible!!!! Mountain Colors has the most wonderful and durable yarn and simply gorgeous colorways. I love that the colors are inspired by the beautiful colors we see in nature! I love the amazing colours! I love the feel of Mountain Colors yarn. Oh, and the colors, too! Have been a fan of yours since purchasing my first MCHPY at Camas Creek in Kalispell! And...was so happy to meet you at the Best of Montana show in Great Falls!!! LOVE your colorways!!! Joined the group on Ravelry! Not only gorgeous colorways that I LOVE...but wonderful soft smooshy fibers!!! Being a mounitain girl, I appreciate the depth and soulfullness of the colors in the yarns...and I REALLY love the Weavers Wool large skein, 1450 yards !! WOOT!!! I love all of the bright colors in Mountain Colors yarn. The new color is fabulous and would really make my needles fly. I will NEVER foget the very first time my friend Steph rubbed a Skein of Mountian Colors Jennette on my arm at a store when I was visiting my parents a couple summers ago. I fell in Luuuv! And I tell you the colors are to die for, I am telling my out of state friends about them constantly! Only gotten to knit with it once so far. But I am buying myself some more for my Birthday real soon! I will NEVER forget the day my friend Steph rubbed a skein of Mtn Colors on my arm at a store when visiting my parents one summer. It was so soft and the colors were to die for! I will NEVER forget the day my friend STEPH brushed my arm with a skein of MTN Colors when I was visiting my folks one summer when annd the colors were to die for. Between the Combo I was in Luuuv! Here's a toast to 20 years of wonderful colors ranging from sublimely soft to super saturated. When I knit or crochet with your yarns, I can't help but smile, and when I wear things I have made from your yarns, I feel radiant. Hope your color creativity never ends! I love the bright colors and the Loganberry one is fantastic! What can I say? I LOVE the colors. It's hard to find such deep, rich colors and those are the ones that call to me. The colors blow me away! I love how the colors blend in exciting ways, keeping the knitting (and weaving) continuously interesting. I'd love to win some of your beautiful yarn! Just completed all of the above. So in love with this colorway! Congratulations and thanks! For me, it has not been about anything yet but the colors... which are amazing combinations, and gorgeous tones... but I really wanna touch it!! I love that you all are constantly doing giveaways!! I hope I win sometime, and can actually get my fingers into a skein! I love the variety of fibers, textures, and weights of your yarns and of course the colorways -whether brilliant or subtle, whether jewel-like, delicate, or smokey, they always are beautifully balanced and look absolutely good enough to eat. "Mountain Colors" says it all. I see the rolling hills, the quiet forests, the flash of bird wings, the flutter of butterflies and the flowers in meadows. All of it is there, along with the touch of a velvety mountain flower petal. I love the variety of colors and the subtle color transitions. WOW!!! The colors are beautiful! I love that you are living my *alternate life*. I love each and every one of your kits either I would wear them or have a dear one I would love to make one for. I love how there are so many colour options that are variegated but not so contrasting that they hide stitch patterns. The colors are equisite and just glow. Combine that with the wonderful feel of the yarn and you're in knitters' heaven. I knitted a hat with River Twist Whitewater and think it is one of the loveliest yarns I've ever used! Bought some Bearfoot at Hellen's Needlework in Mount Vernon, Washington, but haven't tried it yet. I love the color gradients - lovely!! The colors - "wake up", or "calm down", and everything in between. Beautiful!!! I saw some of your yarn at a fiber show a year or so ago and fell madly in love. My friend and I were looking for a particular color of red, and there was a huge hank of yarn in every shade of red imaginable, and so beautifully done. There was one left and we grabbed it immediately! You do really great work. Thank you for supplying us knitters with such beautiful yarn to work with. The depth and beauty of the colors and the way they are mixed together! Just Awesome! So excited to find this yarn shop - the colors are stunning! Can't pick a favorite among lilac, lake spur, huckleberry, mountain twilight, Portland rose, spring eclipse, or wild raspberry. It's the colorways for me. So much depth of color. Amazing colors, textures and the high quality of yarns! Always pull me in and get my creative juices flowing! I am always drawn to the gorgeous colorways. I love the colorway "Crazy Woman". I have it in 3 different yarns! Louisa is beautiful! All of your colors are so rich and full of life. Love Mountain Colors! I love your colors, they make it very hard to choose but when I do it is always perfect for the pattern! I have always loved your yarn! As a new knitter I fell in love with bearfoot and it is still my favorite sock yarn! My first birthday yarn was enough mountain goat for a sweater! I just love the fibers and the colors! Congrats on 20 years! It's the colors I love, of course! I have always loved the colors. What ever I knit turns out incredible. My favorite is Twist, the use of different colored plies really gets to me. Gorgeous colors and luxurious textures! The brightest colors of the mountains! Love them. The colors with in each skein are always so incredibly beautiful!! Love all the colorways and the different bases. The colors are smile-inducing! Love your colors + textures. Always inspiring! I don't have to close my eyes to imagine going places, I just let Mountain Colors take me places visually! Love the colors and the names you give them! I just love the vivid colors and the variety of fibers! The vibrancy and richness of color which even manages to look amazing in pictures as in person. Gorgeous. The rich colors seem to glow. They are so beautiful. The colors are so vibrant that they take my breath away. The textures and the colors are awesome! Please enter me in the contest. The colors are rich and amazing!! Would love to win so I can try some of the gorgeous yarn I see. Your colors are amazing. I've loved MC For a very long time and loved that they reflect Montana. The yarns are a dream to work with. Knitting with Mountain Colors is bringing the beauty of nature inside this city life, so refreshing! I love all your colors. Love the colorways and durability...my socks made out of Crazyfoot from a couple years ago still look like new! Whoa, so many comments! Even for a contest that tells you that this yarn is well loved! I like colors, vivid and happy, and they make me happy just to look at them! The intensity of the colors are magnificent. I love how well thought out the kits are for all needle workers. I'm a huge fan of Crazyfoot for socks - it has great twist, wears like iron and the colors, of course, are to die for. Thanks, Mountain Colors, and congratulations on your anniversary. I dearly love 4/8s wool and the Alpine colorway. I designed & knit a cardigan for myself in this combination and it's my "go to" sweater - I love it! Keep up the great work, guys! Love the intensity of colors that so closely represent the views of Montana! I broke down and bought some more yesterday just bought my first skein of Twizzle yesterday. Wow found another Mtn Color yarn that I love love love! I love the way they feel. I love the way a display of Mountain Colors yarn will call to me from across any yarn shop. I have to go over and feel, yes, and even smell them all. It is always a hard choice to decide which beautiful color to pick! Amending my comment to add my name. Hit the enter button too soon!